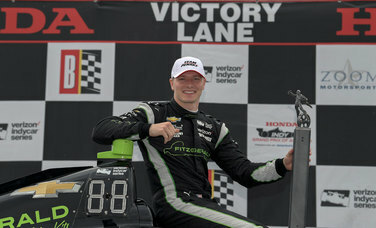 BIRMINGHAM, Alabama – In his third Verizon IndyCar Series race for Team Penske, Josef Newgarden (No. 2 Fitzgerald Glider Kits Team Penske Chevrolet) crossed the finish line in first, at the Honda Indy Grand Prix of Alabama presented by America’s First. This was the first INDY race in which Fitzgerald Glider Kits participated in as a sponsor.